Have you heard the story about the future 1st round pitcher that had Tommy John…and then broke his elbow during his return? But, what’s different about this story is his return. 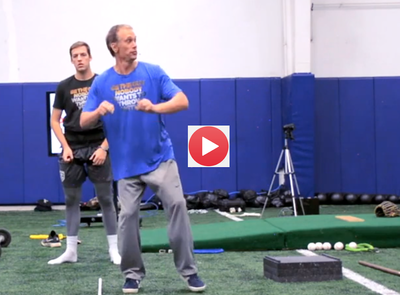 Learn how an undersized pitcher that experienced catastrophic injuries, not only made his return but surpassed any and all expectations when he reached 102 mph. Don’t go to the game tonight, don’t even watch it because you could get Ebola…scientific study reports! Because it’s a scientific report you idiot, duh! I’m not sure if you’re educated enough to know this, so I’m gonna lay it out for you! If the village idiot asked you to smell his finger, would you? Right now, let’s talk about the epidemic of tommy john surgeries and elbow injuries. In fact, it took me 6 freakin’ years to graduate from college, at a state school in KY. So, all these scientific based principles are way over my head, that’s why I created Baseball Think Tank. The Evolution of Arm Strength & Adaptation!